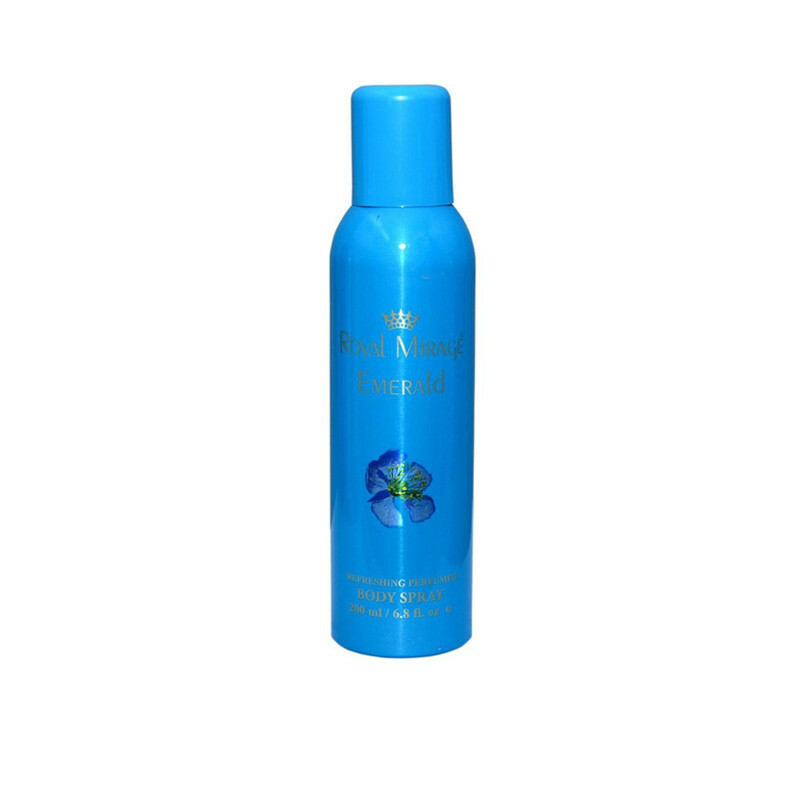 Royal Mirage (Emerald) Deodorant Spray give you beautiful fragrance for long time. Royal Mirage (Emerald) Deodorant Spray sparkling bergamot lend vibrancy to a spiced floral heart of rose and sweet jasmine. A smooth backdrop of rich sandalwood and amber wrapped in creamy vanilla balances this irresistibly lustrous scent.It is keeps you fresh, active till the end of the day and removes bacteria which causes sweat odor.